How sceptical are you when you hear something like lose weight in 21 days? I am for sure, d oes 21-day fix diet work? Is this another fad? are you going to be out of pocket again? Keep reading to find out…..
As a massive fan of beach body products my heart sank when I heard about the 21-day fix, I have seen so many people get suckered by losing fat fast schemes and really don’t want to lose my love for Beach Body. I have covered Insanity, Cize, Country Heat and Focus T25 and would recommend every single one of them for losing weight so I am hoping they haven’t ruined their brand, trust and my affection with this product just to fill the gold coffers. I assume you also have your doubts about this as well. Keep reading to find out what its all about, my thoughts, what others think, any pros and cons and frequently asked questions and on top of that if the product is any good will also give you the best place to buy 21-day fix from. Essentially it’s a portion control system that allows you to eat what you want, coupled with a 21-day workout plan to make sure you get the maximum results each and every time you perform 1 round of this fix. “I’m a bikini competitor—and a single working mum. I don’t have time for complicated meal plans and hours of exercise, and neither do my clients. That’s why I created 21 Day Fix. It’s simple, fast, and will help you get results. All you have to do is follow my programme, and you WILL lose weight. As you can see Autumn is extremely confident about her programme and also made it so simple to use, There are 7 different colour and sized containers, if it fits in the tubs you can eat it, it’s that simple so no more boring or rigid calorie counting. Also, you will be following a powerful 21-day workout that will see you burn massive calories to see a huge difference not only in your fitness but in your body shape, your body fat will be torched for sure. All workouts are 30 heart pumping minutes long and the first week you do just one workout a day but for the second and third week you are encouraged to do two of the workouts per day to see real fast results. The part where you say goodbye calorie counting and hello portion control, let’s face it, counting calories is no joy and having bigger portions than necessary may have got you where you are now. Let’s look at how the colour coded system works and how it’s going to help you lose body fat. 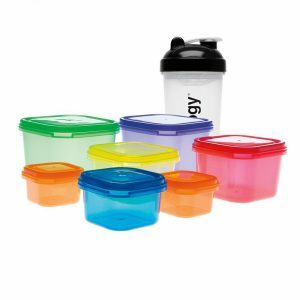 To find out how many containers you can have a day you first have to work out your starting point, basically how many calories you need to be in a deficit. After you have found out your number you can then work out how many containers of each colour you can have per day Let the science behind the programme do the hard work all you have to do is calculate your requirement below. As you can see Beachbody haven’t done a one size fits all, it takes into account that if you’re carrying more weight you will need more calories. 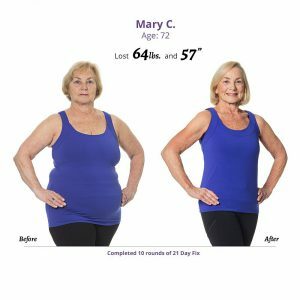 I headed into the 21-day fix with horror but the more I read about it and talked to people who have done it, the more my love as amplified for BeachBody. It’s not a one size fits all and nor should it be as too many people churn out a generic plan to suit the masses and they just don’t work. What I also like is the fact that its sustainable and you can do the diet for more than 21 days if you choose, however, you will get used to the exercises after while so you will need to find something to keep the metabolism stoked. Its clear to see a lot of thought and effort have gone it to this programme to give you the best results possible in a safe and natural way and that is what you should be aiming for. I do think this will be a challenge for the heavier people as after 220lbs your calories a day will always stay the same, the flip side to that is your going to see massive weight loss if you can urge the need to eat. Overall this is great and will easily find itself in my number one recommendation list which is no easy feat. It’s taking the internet and social media by storm and won’t take long to find someone praising it and its hard to find anyone criticising it, I have come across a few people who think the portions are too small but they are meant to be and is done on science rather than guesswork. So easy to do 30 minutes a day. Now i look forward to that 30 minutes! 2 weeks in and loving it! Forget about all those crazy plans out there what will cost you hundreds of dollars and see nothing for your money, there is no way you can go through the 21 days and not lose weight you’re in a deficit too much to not see any results. Peoplestestimoniess speak for themselves and if you want to start losing fat click the get started below!! It sounds like this may be a good option for someone wanting to lose weight. I think everyone is a bit different, and what works for some, won’t work for others. So if someone hasn’t been able to lose the belly fat using other methods, the 21-day fix may be something to try. I found for me, I don’t do well with counting calories or portion control. At my age, I get the best results by cutting the sugar, starches and carbs from my diet. I’ve always believed you can lose weight (a reasonable amount) within 21 days. But losing as much as 85 Pounds in 21 days does take some real effort, and discipline. Kudos to Autumn on such a successful training program! Proves that when you really love what you do in a job, you can positively influence many people around you! This looks like a good plan. Sensible, healthy eating combined with an exercise regime giving a realistic loss. I an see this being a real success. 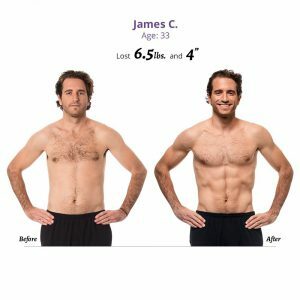 A very well detailed post Steven, I think it an awesome post with every bit of information about the 21 day diet fix that I need. The video is very interesting and I will definitely research a little more thank you very much for the very informative post!